As count you can set your own attributes. 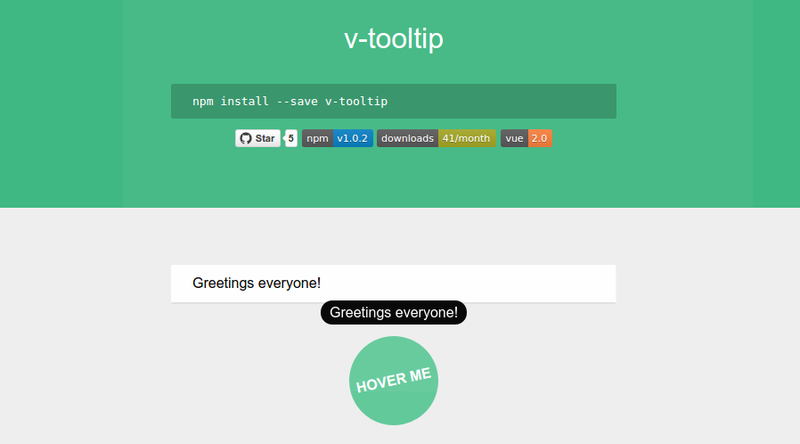 The directive v-my-tooltip is the one we set in main.js, and bottom-center is the possition which the message is going to appear. See the available positions in the tether-tooltip documentation. 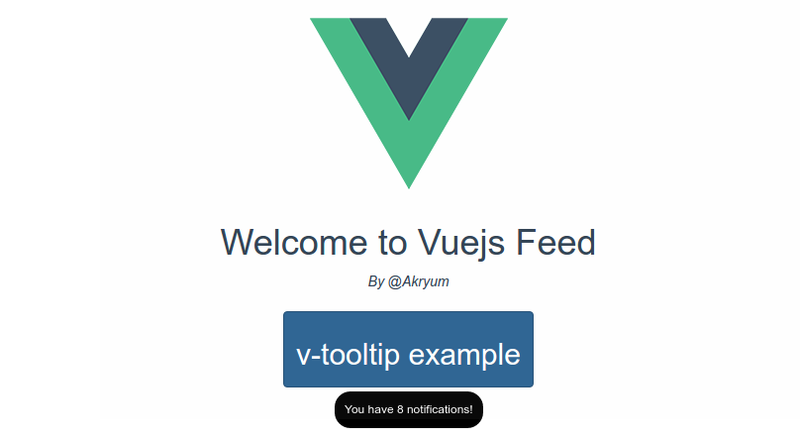 Check out the Demo and the GitHub page, by Akryum.